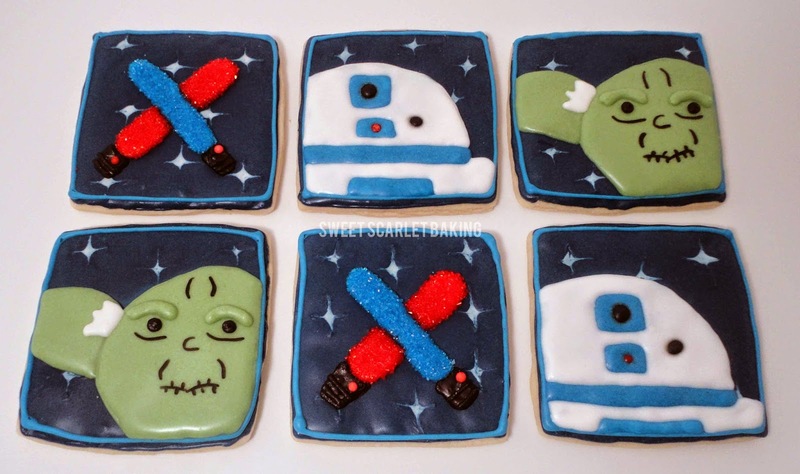 Sweet Scarlet Baking: May the Force Be With You! 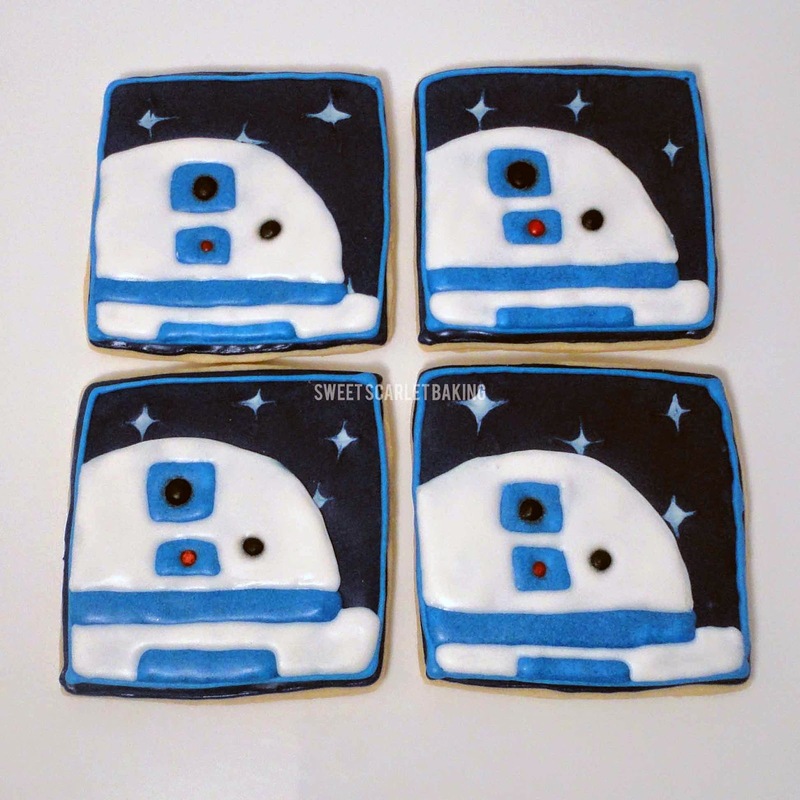 My customer requested Star Wars decorated sugar cookies to give as favors to the guests at her son's birthday party. I presented her with several ideas and her son liked these best. 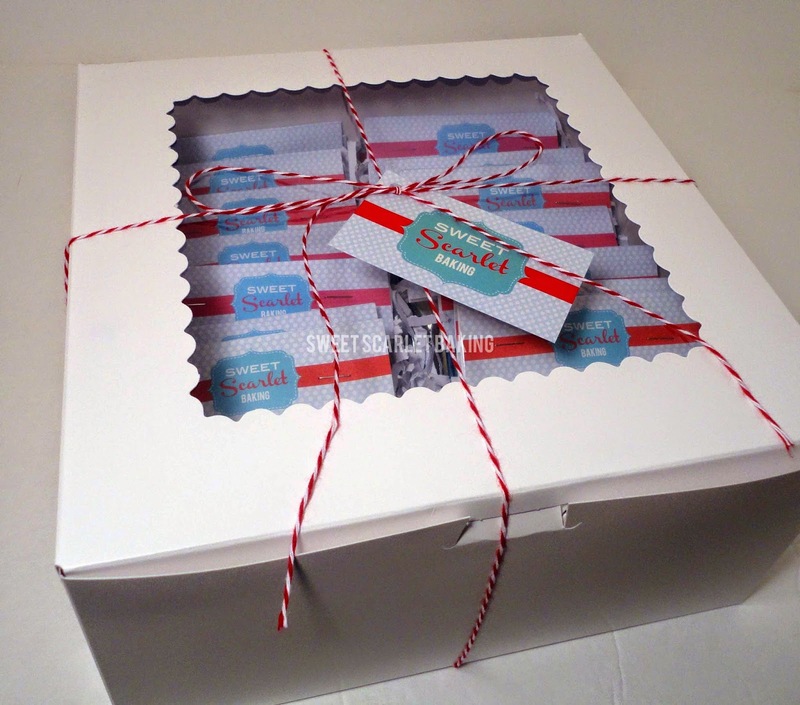 Inspiration for these designs came from Sugar Kissed. 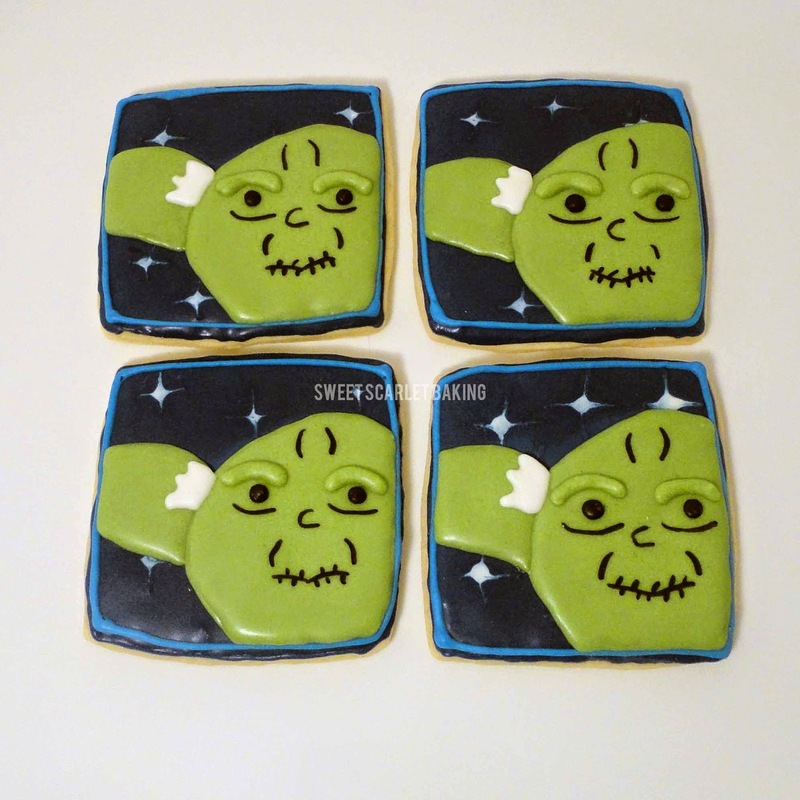 The birthday boy wanted his cookies decorated with Yoda, R2D2 and light sabers. 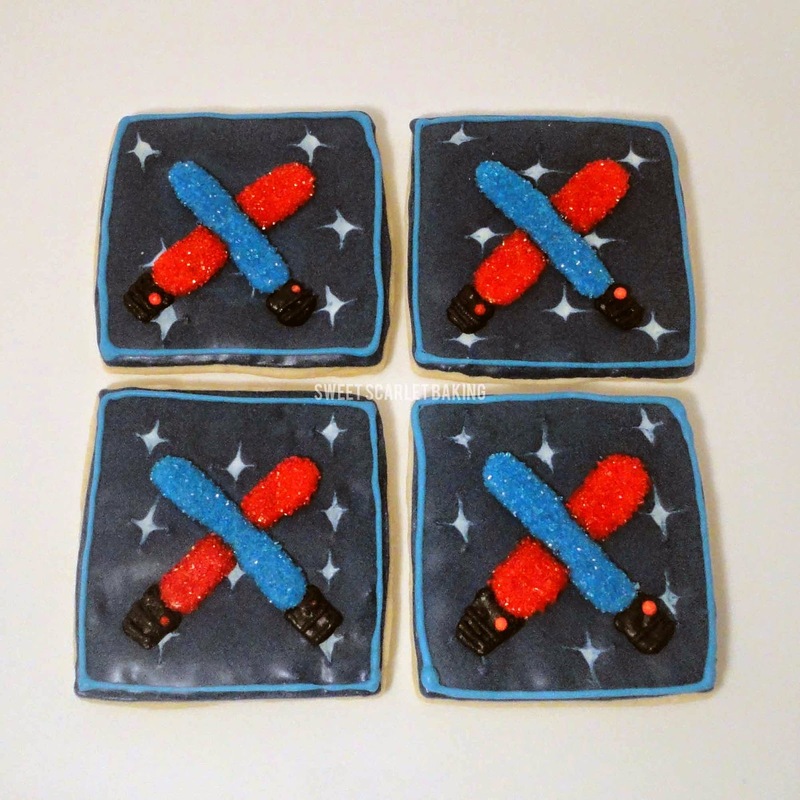 These light sabers are covered in sanding sugar to make them extra sparkly. 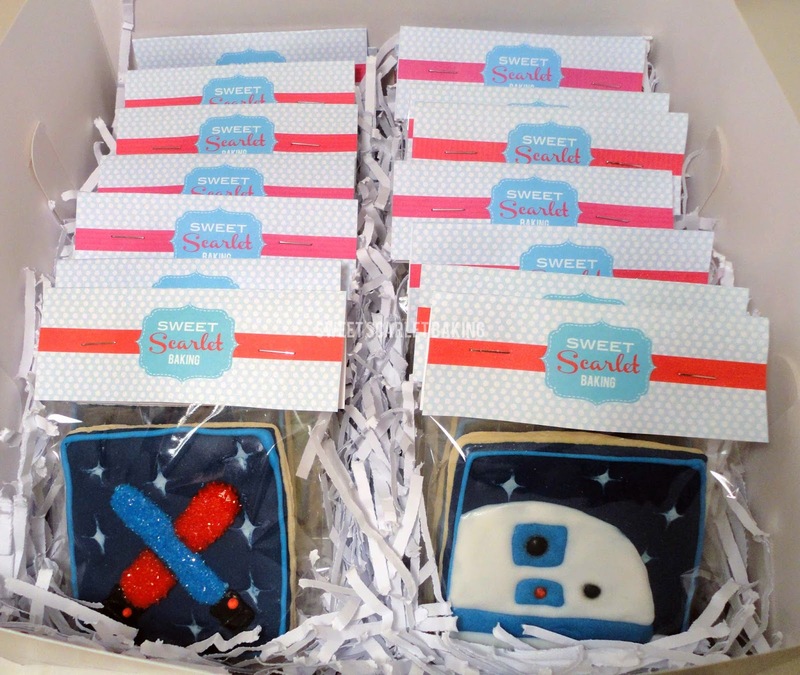 I packaged each cookie individually for the guests to take home.